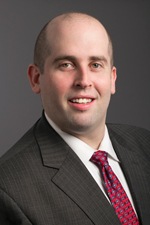 Matthew Corwin focuses his practice in consumer financial services and commercial litigation. He advises and counsels large companies, financial institutions and small business in commercial and banking litigation matters, including contract disputes, lender's liability, complex litigation, fraud claims, real estate controversies, contested foreclosures and negotiable instruments, as well as matters pertaining to UCC, FCBA, FCRA, EFTA and FDCPA. Mr. Corwin is involved in all phases of the litigation process and FINRA arbitrations including developing legal strategies, drafting of pleadings, overseeing discovery and document production, responses, depositions, hearings and appeals. He also engages in extensive motion practice, including summary judgment and appellate motions and frequent oral argument. Prior to joining Hinshaw & Culbertson LLP in June 2015, Mr. Corwin was for more than two years an associate at a Garden City, New York firm and another New York City firm. After receiving his undergraduate degree from the University of Massachusetts at Amherst, Matthew worked with the Major League Baseball Players Association and was a patent litigation paralegal in the New York office of a national litigation firm. During law school, Mr. Corwin was a compliance legal intern with Region 2, of the National Labor Relations Board, worked as a research assistant to one of his professors, and was a judicial intern to the Honorable Alfred J. Weiner, New York State Supreme Court, Rockland County. In addition to his other law school accomplishments, Mr. Corwin was a member of the Dean's List. He was a student advocate in the school's Unemployment Action Center, and Vice-President of the Media Entertainment Sports Law Association. Many of Mr. Corwin's clients are lending institutions, loan servicer and trustees, which he defends against litigation foreclosure counter-claims, including claims involving mortgage backed securities, predatory lending, bad faith and mortgage fraud.